I've noticed that a lot of people are fascinated by serial killers, and so I've decided to start a series of posts on the subject. This new series will explore various serial killers, some better known than others, throughout history. a person who commits a series of murders, often with no apparent motive and typically following a characteristic, predictable behaviour pattern. 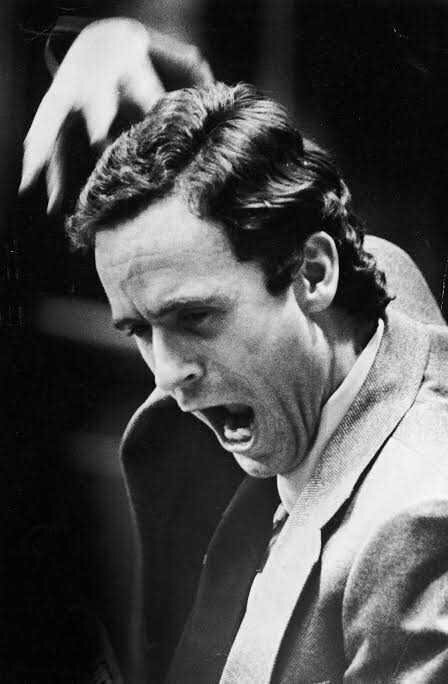 Ted Bundy once saved someone from drowning. That's quite heroic for someone who killed 30 people. The first edition of this series will be up soon. Comments are always welcome. wow, i think it will be a popular series, Jaundre :D it is a fascinating topic ! i do feel like maybe it is a bit of a morbid interest sometimes, so i hope we will take care not to glamorize these people. im learning heaps from how the new zealanders are dealing with the recent mass-shooting terrorism, and how they focus on the victims and on the survivors.... refusing to grant infamy to the shooter. It's tragic, it's true. I won't glamorize them at all. It's just an interest of mine that I think some people share. I want to do more research and share my findings with whomever is interested. Thanks for your point of view, Lise. Reading what others think will point me in the right direction.